How has increasing economic integration at regional and global level affected the functioning of the global economy? What are the consequences of globalisation and regionalism for world trade, production processes and domestic economies? What kind of economic adjustments do these phenomena imply in terms of factor mobility and relative costs? Globalisation, Regionalism and Economic Interdependence answers these and other questions by exploring the relationship between globalisation and regionalism from both academic and policy-making perspectives. It assesses the extent to which increased global and regional integration has changed the functioning of the world economy and analyses the implications for global trade, relocation of production, structural changes and the international transmission of shocks. 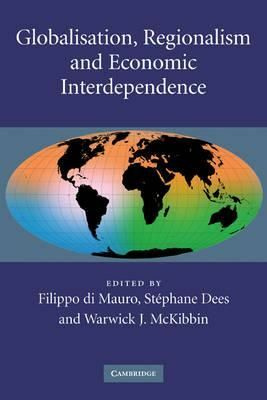 With contributions from both academics and professionals, this book is an invaluable guide to the increasingly important effects of the interaction between globalisation and various different forms of regional integration.